Water is a scarce resource around the world. It is anticipated that clean water will become even more precious with the impact of climate change – in many parts of the world, the next 50 years will be drier than the last 50. All the signs indicate that clean, fresh water shortages will become more and more common in many parts of the world in future. How can homeowners adapt to such a future? The first step is to treat water like the valuable resource it is and use it as efficiently as possible. This will help keep water in our reservoirs, rivers and underground sources and reduce the need to build more infrastructure, such as new dams and water treatment facilities, to supply us with water. A family of four in New Zealand uses about 500L per day not including water used in the garden – a garden sprinkler can use 900 litres an hour. In a typical home, about 25 per cent of water is used for baths and showers, 25 per cent for flushing toilets, 10 per cent is used in the kitchen, 20 per cent is used in the laundry and 20 per cent for gardening. 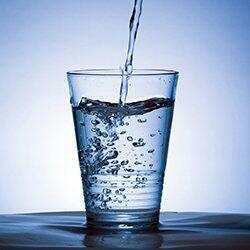 We waste an enormous amount of quality drinking water. There are many way to reduce the amount of water we use without having to deprive ourselves. We collect rainwater from a relatively small area and distribute it over the entire urban area of the city. About 65 per cent of water used in the house is for non-potable purposes (flushing toilets, laundry and gardening). Rainwater collected from the roof can be used safely to meet these needs instead of treated water. Rainwater collection systems also reduce the amount of water flowing into storm runoff systems which means these can be smaller and less costly. Grey water is the water we dispose of that doesn’t include sewerage (or black water). It comes from sinks, baths, showers and washing machines. Black water (or sewerage) can be managed in a variety of ways that involved treating the waste on your property rather than sending it through a municipal sewerage system. This either minimises or eliminates water loss. The following offers some simple tips on how to manage water in your garden and lawns for dry periods.